Home / News / 2019 / 03 / 19 / Do you wish to be reunited with an old forces friend? Do you have any old forces friends that you would love to be reunited with? 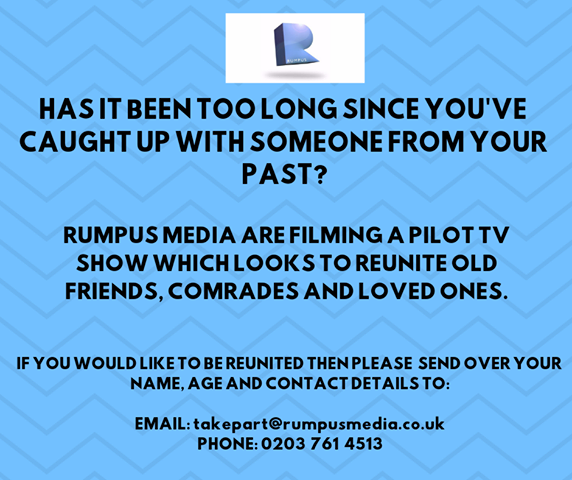 Rumpus Media are asking people to get in touch if you wish to catch up with someone from your past of a new pilot TV show.